Discovering a new novelist who thrills you is sublime. Of course, unless it’s a debut novel, they’re not “new” at all—just new-to-you. Once I find one, though, I like to mine that writer’s backlist to see if other treasures lurk. Sometimes they do; Jess Walter’s 2012 Beautiful Ruins is the strongest of his works, but all of them are worth reading. On the other hand, I have come to suspect that Like Water for Elephants might be the only good book Sara Gruen will ever write; and that Don Tillman needs an idea beyond endless sequels to The Rosie Project. 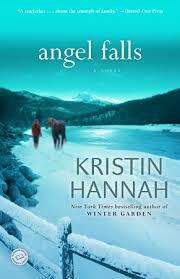 I was enthralled to “discover” Kristin Hannah through The Nightingale, which should be on everyone’s short list for the best book of 2015. I was actually surprised to learn that The Nightingale is Hannah’s 22nd novel, the first of which appeared in 1991. I was further surprised to find out that her prior reputation lay in categories—not my terms—often labeled as “sentimental” and “chick lit.” So I decided to pick a book somewhere in the middle between her debut and The Nightingale and settled on Angel Falls for no good reason other than the fact that Book Bub was offering it for 99 cents. Wow! I can only say that we must applaud Hannah’s enormous growth over the past 15 years? Angel Falls moves at such a crisp pace that one could consume it in a single sitting, but it certainly lives down to the “sentimental” tag. It takes place in a namesake Washington town that’s like Lake Woebegone in the Pacific Cascades, where Dr. Liam Campbell lives in salt-of-the-earth decency and dullness with his wife, Mikaela, and two children: sixteen-year-old Jacey and nine-year-old Bret. The Campbell world is rocked when Mikaela is thrown from her horse and suffers head injuries that put her into a deep coma. The rest of the novel plays out like a tissue-box drama from the Lifetime Channel. Doctors are baffled as to why “Mike” won’t wake up and Liam must try to keep his wits and his family together, especially Bret, who blames himself for his mother’s accident. And, of course, family ‘secrets’ leak out. Mikaela, we learn, is part Mexican. Her mother appears to help out, and we learn that Mike was born out of wedlock. (So?) The bigger secret is that Jacey isn’t Liam’s child; Mikaela was once known as “Kayla” and was the wife of heart throb Hollywood bad boy Julian True. Liam calls upon Julian to see if his voice can bring Mike back among the living, though he knows Mike never got over Julian and his presence could wreck the Campbell marriage. Good grief! There are enough clichés in what I’ve written already to send a college writing teacher into a coma of his or her own! If you think no more can be slathered onto this tale, you’d be wrong—very wrong. Only those gullible enough to see the collected, rational, and saintly Jacey as emblematic of any sixteen-year-old on this planet will be able to swallow all of this without choking. Much of the book plays out like a preacher’s homily of the sort that provides nostrums rather than instruction. It’s all too sweet, too pat, and too unbelievable. Do not put this book on your holiday wish list. Is there a train in your future? Bob Dylan didn’t have American rail service in mind when he wrote “It Takes a Train to Laugh, It Takes a Train to Cry,” but he could have. When Amtrak touts the Acela Express as “high speed rail,” one can but laugh. Acela trains could go as fast as 165 mph, but given the deplorable state of the tracks upon which it travels, a 457 mile Boston to Washington, DC trip will take over 6.5 hours and average just 68 mph; in other words, you could drive it faster (and certainly cheaper). High-speed rail is the three-hour 520-mile train ride I took from Geneva to Paris a few years ago, which really does go 165 mph. As for crying, anyone who has sat dead in the tracks in the New Jersey marshes waiting for an incoming, slow-moving train to pass will be moved to tears, to say nothing of Amtrak’s back-into-the-station and wait 40 minutes maneuver in Springfield, Massachusetts. But if you really want to cry, lament the long-parted ‘leisurely’ family drive. If you’re going anywhere on the East Coast from Portland, Maine to Miami, Florida, your scenery will be that of metal walls blowing past you at 75 mph—the ubiquitous trucks hell-bent on rushing Chinese-made goods to a Walmart near you. Wouldn’t it be cool if we could move people and goods faster and more cheaply? As it turns out, we can: by train. I do not mean an improved Acela or longer freight trains. And I don’t even mean by bankrupting the treasury. As it turns out, it’s probably much cheaper to scrap what we have, convert those lines into bicycle paths, and build something resembling the pneumatic tubs that used to pass messages, receipts, and change through department stores. We don’t need to wait for a futuristic Buck Rogers scenario to unfold—the technology is here; all we have to do is build it. 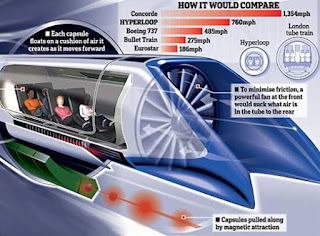 The model is called hyperloop, a vacuum tube through which trains suspended in a friction-free magnetic field can knife their way down concrete above-ground concrete troughs at speeds faster than those of jet planes. 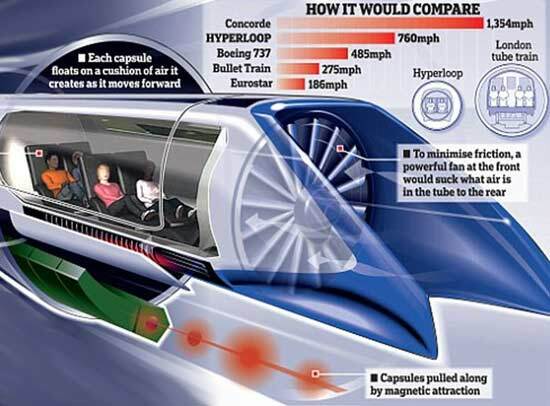 There’s already a plan for a Washington-to-Baltimore (40 miles) “Northeast Maglev” that will travel at over 300 mph and could become the lynchpin for the entire Northeast. The cost? Around $10 billion, which isn’t chump change, but is cheaper than Amtrak’s estimate of $151 billion to “improve” existing lines. Imagine next a line that could whisk you from Boston to the West Coast at over 700 mph. You could catch a croissant at South Station and have a second breakfast in Oregon. You’d have no need to suffer through the indignities of an airport, pay fuel surtaxes, and then shell out a king’s ransom to be transported from a set of concrete strips in the middle of nowhere into the city core. How cool is that? Can it work? It already does. All we have to do is find the cash. How about slashing military spending by 20%? Or not. Heck, you could sell this as part of a Department of Defense plan. Sound far-fetched? How do you think we built the interstate highway system? The 1956 bill authorizing it was known as the National Interstate and Defense Highways Act. That’s right, it was justified as necessary in the case of a national emergency—something we tend to forget when we’re annoyed by a military convoy clogging up lanes on the interstate. I say let’s do this thing. Sell it as a defense measure, a jobs bill, an energy-savings maneuver, a way to make American business more competitive—anything. Get ‘er built. Movie Madness, Celtic Corner, Cranky Notions How Cool Is This? 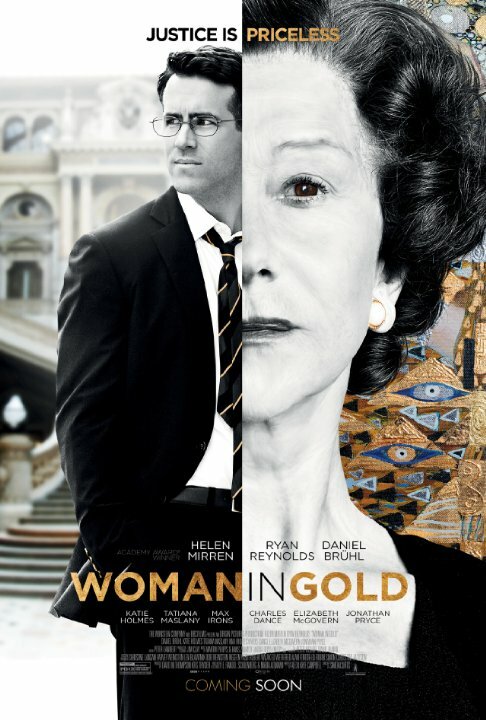 The first thing to know about Woman in Gold is that it’s much better than a lot of its reviews. The second is that it’s not nearly as good as it ought to be. 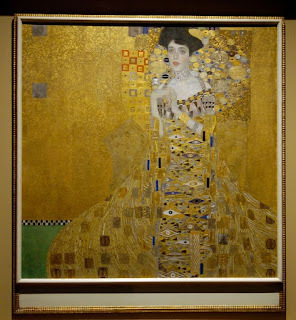 It is a story about art looted by the Nazis during World War II but, in this case, not just any art—we’re talking paintings by Gustav Klimt, including his famed Woman in Gold, a piece considered by many to be part of the Austrian soul. Painting titles are often conveniently anonymous. The “woman” had a name: Adele Bloch-Bauer, and before she was a national icon she was a beloved family member whose portrait hung in the apartment of her uncle, Frederick Altmann, until the Nazis removed it and the remaining Jewish Altmanns­–and only the former to safekeeping. The film follows the efforts of Adele’s niece, Maria Altmann (Helen Mirren), to recover Adele’s portrait (and four other Klimts). To say that Vienna’s Belvedere Gallery and the Austrian government would rather whitewash their Holocaust past than part with “Woman in Gold,” is to do disservice to the depths of their heinousness. The movie is essentially a series of archival searches and courtroom appearances that take place in Vienna, Los Angeles, and Washington, DC, and involve Maria, her nephew lawyer Randol Schoenberg (Ryan Reynolds), and Austrian investigative reporter Hubertus Czernin (Daniel Bruhl). The film tries very hard to build drama and that may have been the wrong approach. 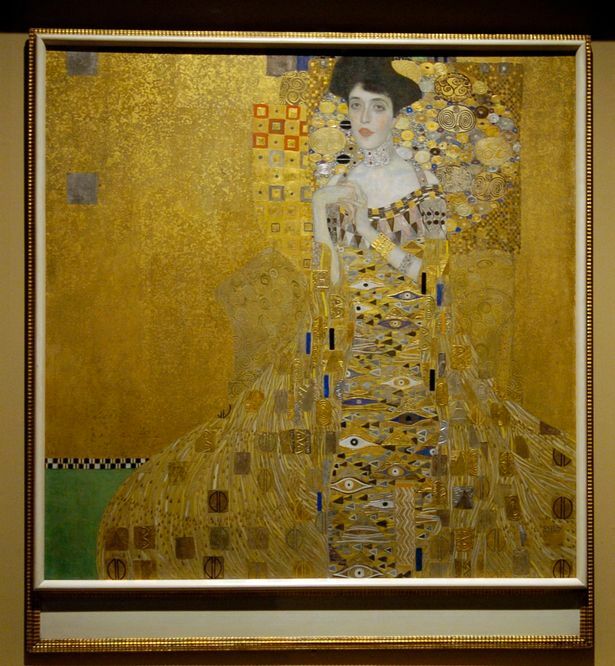 Anyone who cares about art already knows how the drama ends—in 2006, “Woman in Gold” was returned to Maria Altmann, which is why today it hangs in New York City’s Neue Gallery. This begs a question: Would this have been a more compelling film if it had charted a different course? By choosing the most conservative path—instead of, for instance, looking at how the art world collaborated to do an end around the Holocaust—director Simon Curtis essentially opted for one of film’s most tired and trite memes: the Big Courtroom Scene. There’s nothing audacious about that unless you want to give Curtis props for having several of them in the same movie. His boldest move was to construct a Supreme Court hearing that is nothing like a real one, presumably to enhance tension, though it may have just been an excuse to give Jonathan Pryce a juicy cameo as Chief Justice William Rehnquist. The acting is mostly solid, with Mirren trying her best (and not quite succeeding) to assume a German accent and give Meryl Streep a run for accent mastery. (Meryl still wears the crown!) Mirren is steely and, by turns, vulnerable and stubborn. Reynolds, a much lesser actor, is less convincing as a lawyer; he’s simply too soft and unfocused. Elizabeth McGovern is much better in her cameo role as Judge Florence-Marie Cooper, and Antje Traue is simply radiant in the non-speaking role of Adele. Charles Dance and Katie Holmes also appear in cameos. In the end, though, what one notices about all the principal actors is that none of them is Jewish. Is this a problem? Yes; it probably is—we’re decades past the time in which it was routine for actors to dress in cross-cultural garb. There are other liberties taken. Czernin, not Schoenberg, located the key documents and notified Maria Altmann that she had a legitimate restitution claim. More problematic is that key Austrian politicians and art world figures appear as composites with fictional names. Doesn’t this add a new layer of complicity and injustice to an already sordid tale? Other small details are changed for dramatic effect: Maria didn’t leave Austria until her father died, so the tearful farewell scene is a contrivance. There was never a time limit on stolen Nazi art—another contrivance. This is an amazing story rather ham-handedly told. By opting for clichés and drama-enhancements, the film is akin to a surgically enhanced model draped in silk to hide the droops and scars. When reality hands you a juicy tale, it’s best not to muck it up with chemical additives. Woman in Gold is worth watching, but be aware that you’re beholding gilding, not 24-karat gold.